Intelligent Power and Energy Management using IoT: A way for the corporate and residential campus buildings to efficiently manage power consumption. The Internet of Things (IoT) —A technology where the edge devices are integrated and exchange data via the internet, offers significant opportunities for businesses to make smarter and more informed decisions to improve their core business operations with minimal manual intervention. IoT in terms of power and energy management enables the business to effectively understand their energy consumption and costs in real time at each node, thereby providing valuable insights that can reduce the operating costs and increase efficiency in the usage of power. Let us speak about a real time challenge and the solution that Daemon Software with its expertise in IoT brings in to resolve the problem. Consider a building in an educational institution. There are number of floors with each floor having many rooms and it is not practically feasible to manually monitor each room’s power consumption and control the wastage of electricity real time when inmates are not around. Common areas which don’t need electric lights cannot be switched off remotely based on a specific set of rules . The above problem was thoroughly analyzed in different scenarios and a robust IoT solution was provided. Daemon’s IOT team provided a scalable solution with NABTO IO platform with a two-step approach that resolved the above challenge.An effective way of using the power in the building was implemented with the Daemon Electro-POD device. The power supply for the individual unit can be switched on/off remotely using the IoT application during non-peak hours or when the inmates are not using the unit. 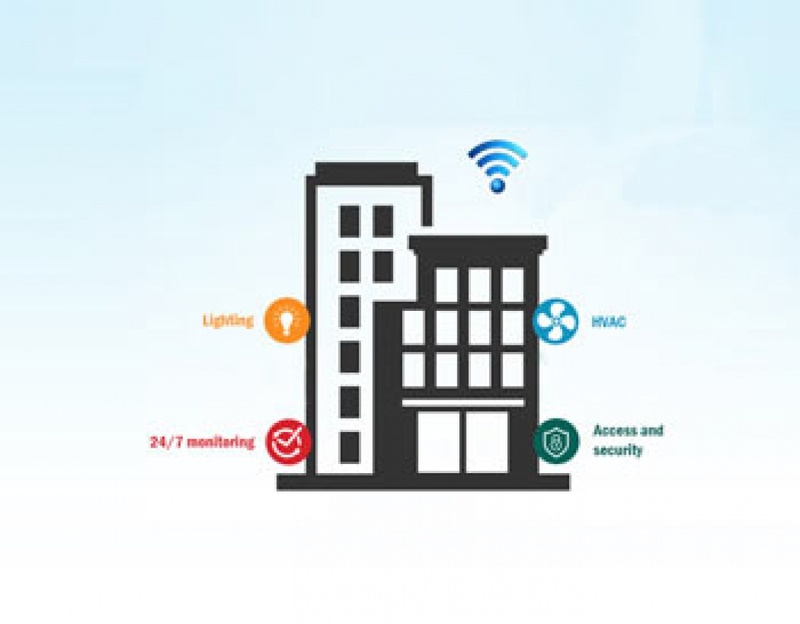 The power supply for an entire floor can be controlled where all the rooms/units in a particular floor is switched on/off remotely using IoT application during non-peak hours. Rules can be set to switch off power in common areas as per normal usage patterns. A manual override option can be used if the IoT device fails to function/respond and user can override control for exceptions. The data is collected through IoT device and sent to the centralized server where the reports can be generated to know the consumption pattern of each room/unit and floors and take necessary steps to manage power consumption and reduce the cost. This smart building Electro-POD device is an example of how IOT can help in saving energy and reducing carbon footprint and has a profound impact on energy management as buildings incorporate these sensors and controllers where old technology is still used . As these devices can connect with each other through internet while feeding data into analytics software, businesses gain a complete visibility of their energy usage that leads to a smarter way of consuming power. Daemon’s Electro-PODcan help in implementing a Smart building technology solution using their P2P IoT solution powered by NABTO. If you are interested in discussing this for managing power consumption in your buildings in a smarter way, please contact us at sales@daemon.co.in or call +91 80 42101166 to learn more.